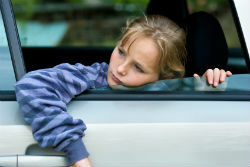 Custodial Parent Move-Aways — Jamie Elmer, Esq. When a parent with joint physical and legal custody petitions the court to relocate with the child to another part of the state, country or overseas, it opens up a full range of complex issues involving parental rights and the best interest of the child. If the parent has full custody of the child, the noncustodial parent may not have legal remedy, but the courts do not necessarily assume the move-away is in the best interest of the child. Often, there are strategies for litigating an agreement that works best for all parties. If you are petitioning the court for a modification to your custodial agreement, in order to relocate with your child, or if you are challenging a move-away petition, my law firm can help. For more than 30 years, I have been working with custodial and noncustodial parents in cases involving custody modifications and relocation issues. I understand the California courts' positions on these emotional issues and I work vigorously toward resolutions that protect my clients' rights, while maintaining the best interest of the child. If you are involved in a dispute about a move-away petition, or just need help with the process of petitioning the court, call my office in Berkeley to schedule a free consultation. Relocation petitions always involve going back to the original child custody judgment to determine how the courts are likely to decide your case. I will answer your questions and give you an honest, clear evaluation of your legal options. From my offices in Berkeley, California, I represent clients in family law matters throughout the San Francisco Bay Area. Call me at (510) 644-2411 or contact my office by e-mail to arrange a free consultation to discuss your legal issue with an experienced Berkeley attorney handling custodial parent move-aways. To speak with Jamie Elmer, our Berkeley, California, family law attorney, please call the number above or email us via the form below. Please fill in all required fields. Family Law Attorney, Jamie Elmer will be in touch with you as soon as possible. Copyright © 2017 by Martin "Jamie" Elmer, Esq. All rights reserved. Martin "Jamie" Elmer, Esq., provides legal advice and representation for clients seeking California family law services in Berkeley and communities throughout the Bay Area, East Bay Area and Northern California, including Albany, Oakland, Alameda, Walnut Creek, Vallejo, Martinez, Emeryville, Richmond and Pleasant Hill, California, and also throughout Alameda County, Contra Costa County and Solano County.